A tip to the HCSO’s mobile phone app, iWatchHarrisCounty, lead to the rearrest of a murder suspect whose bond had been revoked after being charged with assault in an unrelated incident. 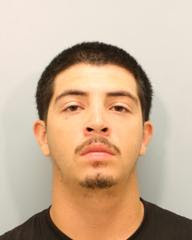 Christopher Anthony Campos, Jr. was taken into custody on October 2, 2014 after an iWatch tip about possible drug activity led deputies to his northwest Harris County home. During the investigation deputies learned Campos was wanted for the June 14, 2014 murder of Michael Turner and for assault in a separate incident. Campos had been arrested in September for Turner’s murder but his bond was revoked after being charged with assault. Campos is back in the Harris County Jail; this time with no bond.